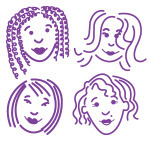 The Center for Young Women’s Health (CYWH) is a partnership between the Division of Adolescent/Young Adult Medicine and the Division of Gynecology, at Boston Children’s Hospital. The Center is an educational entity that is committed to providing teen girls and young women with carefully researched health information, educational programs, and conferences. The mission of our website is to help teen girls, their parents, educators, and health care providers improve their understanding of normal health and development, as well as of specific diseases and conditions. We want to empower teen girls and young women around the world to take an active role in their own health care. The Center was founded in 1998 by Co-Directors Dr. S. Jean Emans, Chief Emeritus of Adolescent/Young Adult Medicine, Dr. Marc R. Laufer, Chief of Gynecology, and Phaedra Thomas, RN, BSN, Nurse Educator, who recognized an urgent need for education, clinical care, research, and health care advocacy for teen girls and young women around the globe. Both Dr. Emans and Dr. Laufer have earned national and international recognition for their expertise, commitment, and accomplishments in the area of young women’s health. Phaedra Thomas has extensive experience in young women’s health and program development. Is the Center for Young Women's Health a non-profit organization? The Center for Young Women’s Health is a part of Boston Children’s Hospital, which is a non-profit organization. The Resource Center was initially funded by a grant from the Boston Children’s Hospital League, an organization of more than five hundred volunteers who serve as ambassadors and fundraisers for the world-renowned Boston Children’s Hospital. Currently, the CYWH is able to continue its day-to-day operations through the generosity of the League and through grants and gifts from our ongoing supporters. The website does not accept paid advertising and our sponsors do not influence the content of the health guides. All the information is educational and informed by quality research. Can I visit the CYWH? The physical home of the Center for Young Women’s Health is the Boston Children’s Hospital League’s Resource Center, located on the 5th floor of 333 Longwood Ave, Boston, MA, next door to the Adolescent Medicine and Gynecology clinical programs. The Resource Center is a welcoming refuge for teen girls and their families who need help finding information, or as a quiet place to check out health information while waiting for their appointments. We have computers with internet access available, as well as a lending library. The CYWH’s Youth Advisors also use the space for research, training, and to prepare the health presentations they give to teen girls in the Boston community and at health fairs. The Resource Center is also the professional home of the CYWH’s web staff. Meet our staff and contributors. Can you answer my specific medical questions? We do have a feature on our website called “Ask Us” where you can submit question anonymously to our staff. We answer 1-2 questions each week, so your question might not be chosen to be answered. We try to select questions that are asked by lots of girls. If you have specific or urgent questions about your health, you should talk to your health care provider. If you’re feeling depressed or suicidal, talk to a trusted adult, call the National Suicide Prevention Lifeline at: 1-800-273-8255 (USA only), or go to the closest emergency room. Please remember that nothing on this website should be considered medical advice, which can only be given to you by your own health care provider. How do I know if the health information is up-to-date? All of our health guides undergo a rigorous review of evidence-based resources at the time of publication and at subsequent reviews every two years or more frequently if medical guidelines and/or recommendations change. American Psychiatric Association. (2013). Diagnostic and Statistical Manual of Mental Disorders (5th). Washington, DC. Emans S J, Laufer MR. (2012). Pediatric & Adolescent Gynecology (6th). Philadelphia: Lippincott Williams & Wilkins. Neinstein LS, Gordon CM, Katzman DK, Rosen DS, Woods ER (eds). (2007). Adolescent Health Care: A Practical Guide (5th). Philadelphia: Lippincott Williams & Wilkins. Neinstein LS, Katzman DK, Callahan T, Gordon CM, Joffe A, Rickert V (eds). (2015). Adolescent and Young Adult Health Care: A Practical Guide (6th). Lippincott Williams & Wilkins.